On our last day in London, Floor and me did our final shopping. We both had our shops where we wanted to go to. 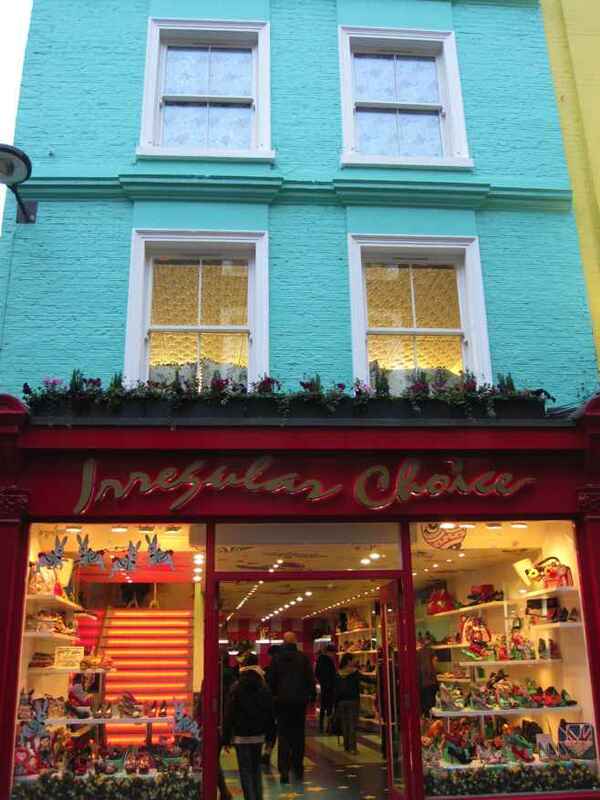 Floor wanted to go to 'Irregular Choice' and I wanted to go to the Illamasqua shop on Beak street. We started our shopping spree in Camden. 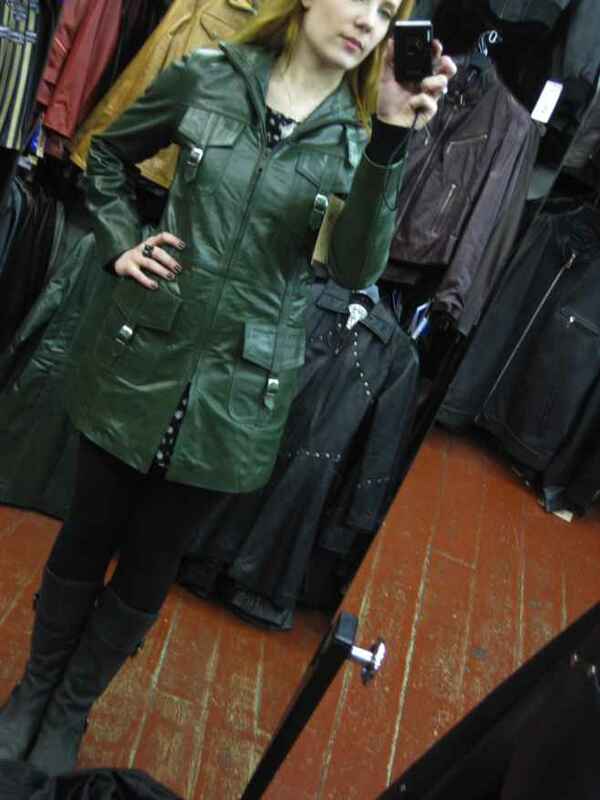 I am a sucker for leather jackets, and Camden is like leather jackets heaven. We both found some lovely jackets, for lovely prices. I do have to say that some of the salesmen in those shops are very pushy. We did get a good deal in the end, though. On our way to the Illamasqua shop, I almost got run over by a motor cyclist. It was both our fault. Me being a Dutchie and looking to the wrong side of the street, and him driving way too fast. My heart needed to calm down a bit. Quite a shock! I'll make a separate post about the Illamasqua treasures that I found/bought. The lighting of the staircase changed every second. Disco baby! 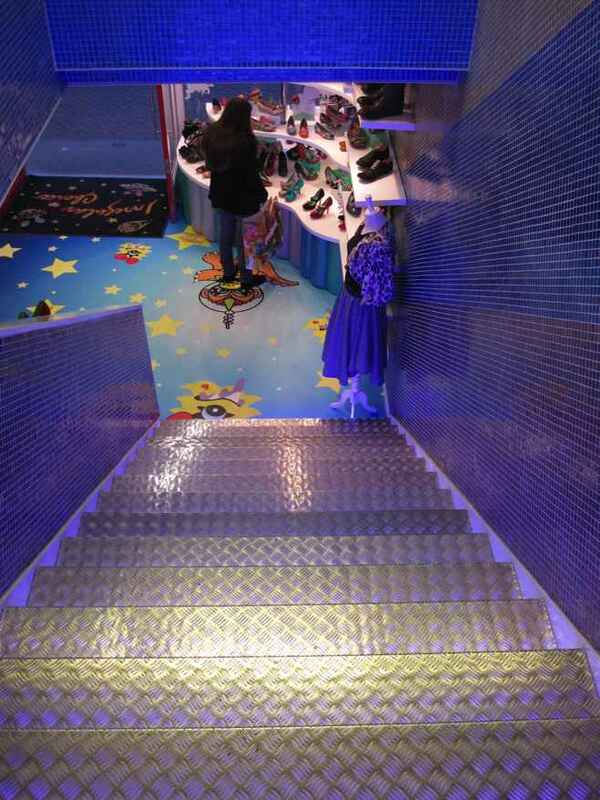 Although the shoes didn't appeal to me, I must say that the shop itself was decorated lovely. We had an amazing time in London. We were there 3 days in total and are looking forward to come back again. Epica has been on the road since a couple of days now. We are starting the tour in the UK. 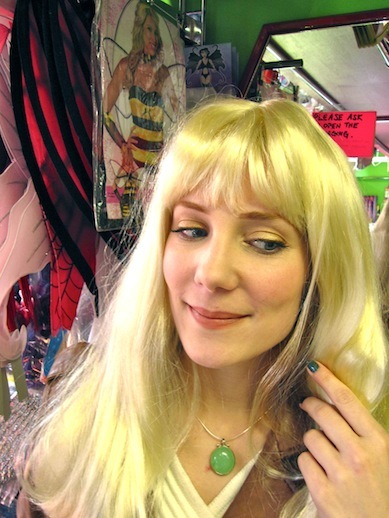 ReVamp is touring with us, which means that Floor and me are roaming the streets for shops together. Yesterday we bought the same yellow sweater. I think that my yellowness has gotten to her as well. Floor loves her pinks and I my yellows. Now she is wearing yellow herself and looking really lovely! The shows are going well. We haven't been to the UK since quite a while. It's nice to be back! Tomorrow we have a day off in London, then a show in London and after that another day off in London.I think that we are all going to have a good time there. Tomorrow I will have another photo shoot with Marie GC, which you might know from the Dolls 'N' Divas calendar. Looking forward to that as well. Last time we had a lot of fun.